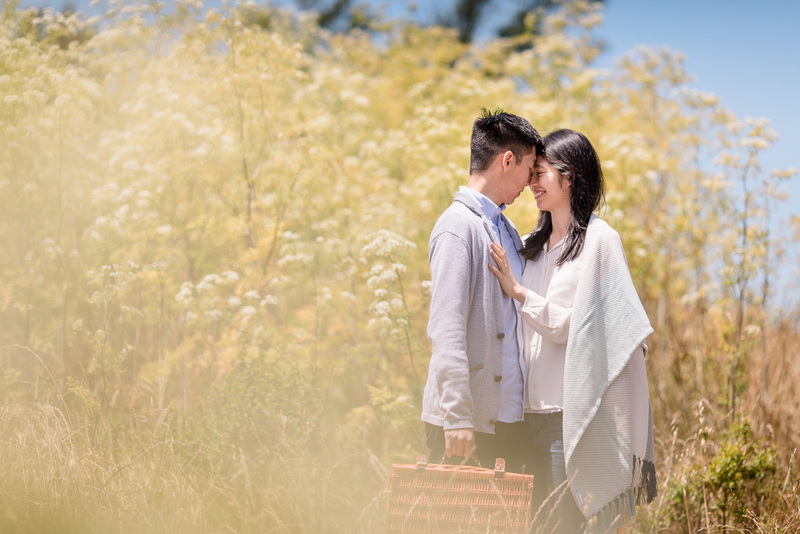 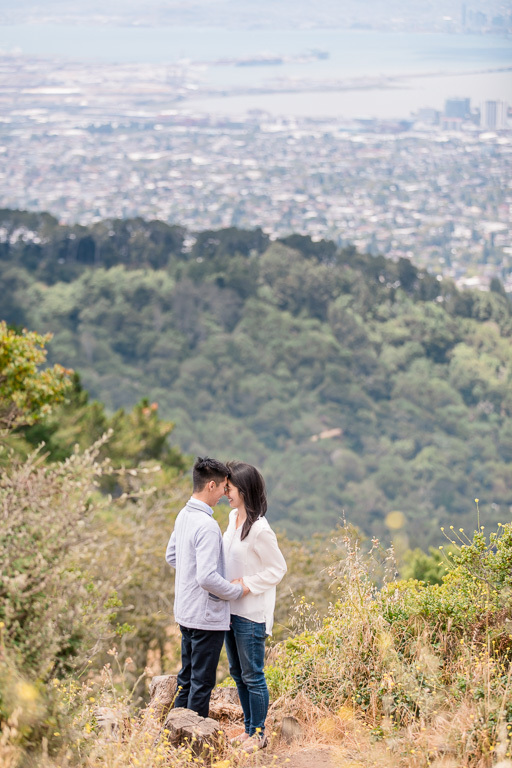 A few weeks before the proposal, Richie, Jenny, and I met up in the hills of Berkeley to scout out a location. 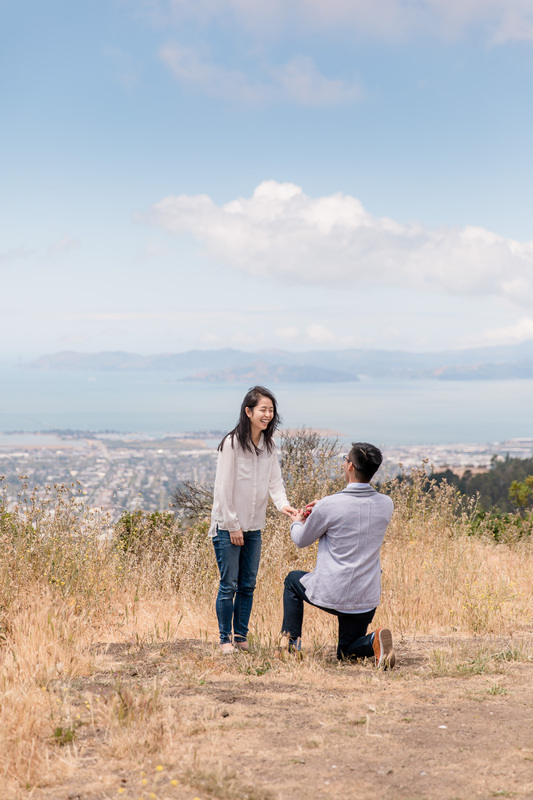 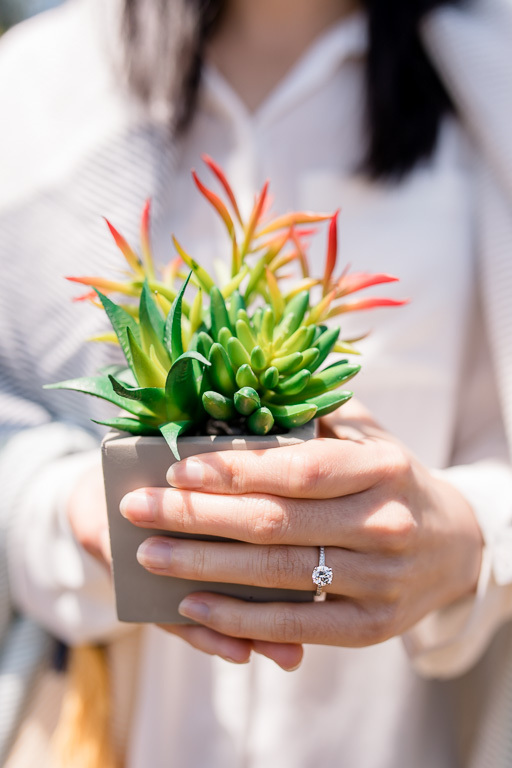 We found the perfect spot — a beautiful cliffside point overlooking Berkeley, Oakland, San Francisco, Sausalito, and the SF Bay. 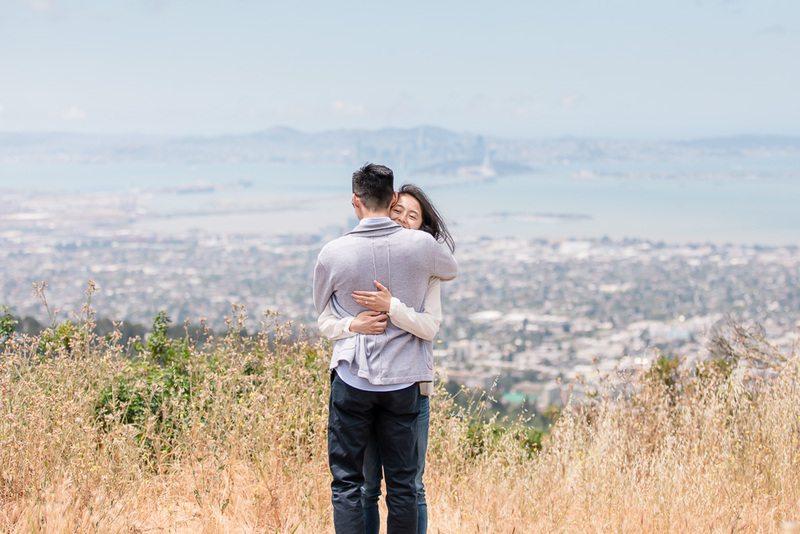 Basically the whole area around SF. 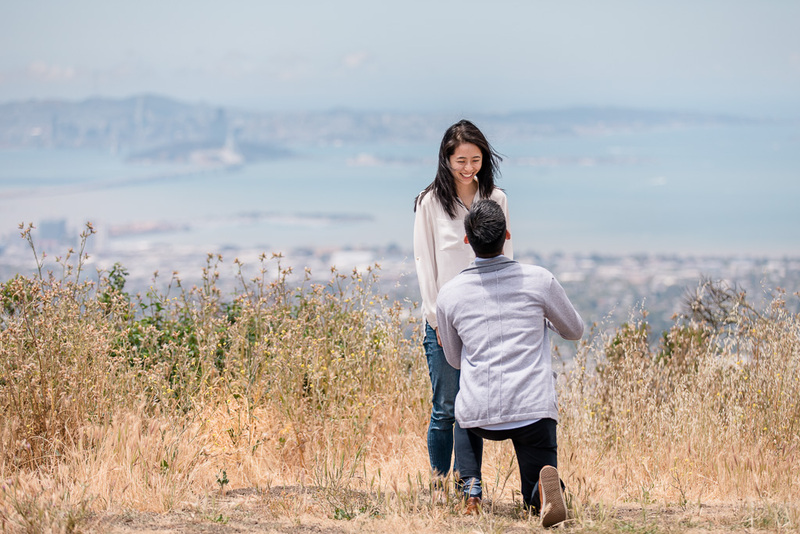 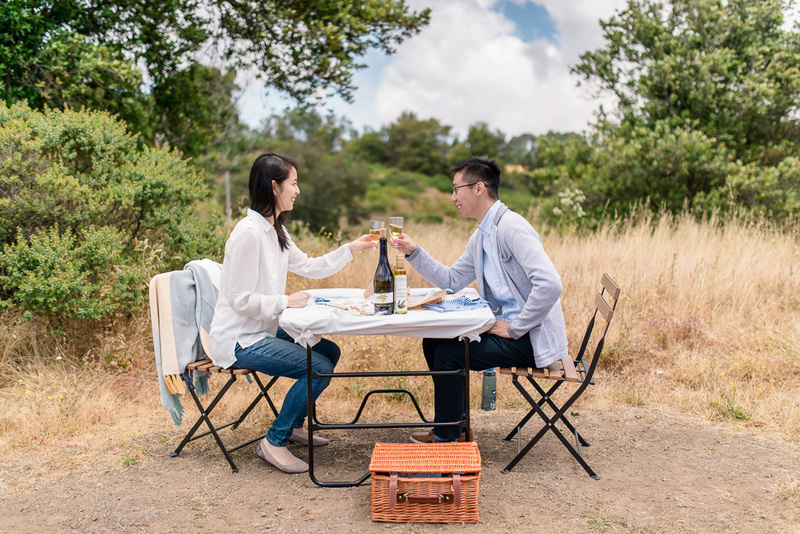 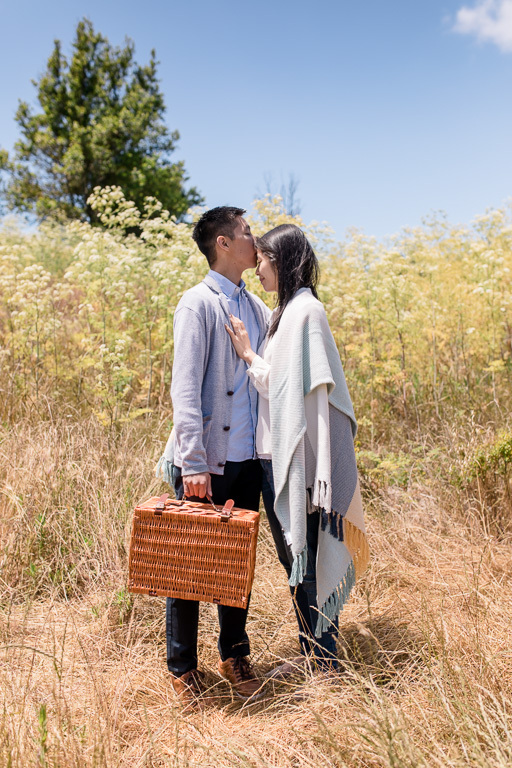 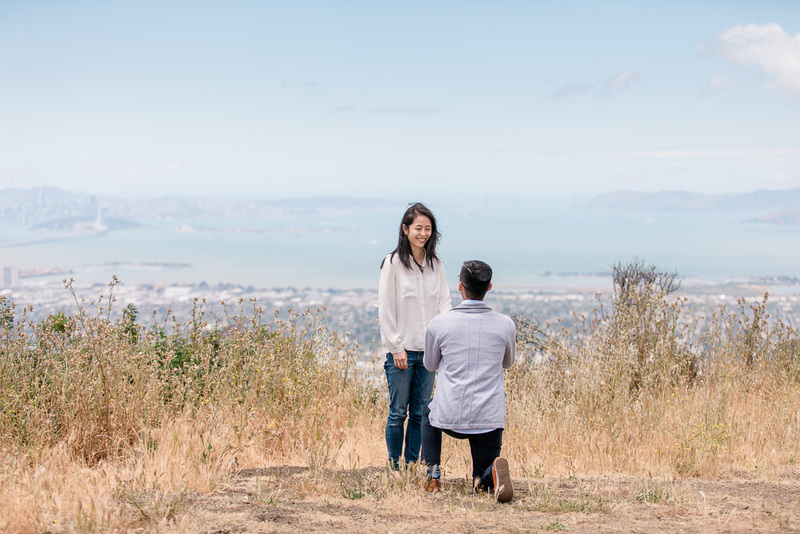 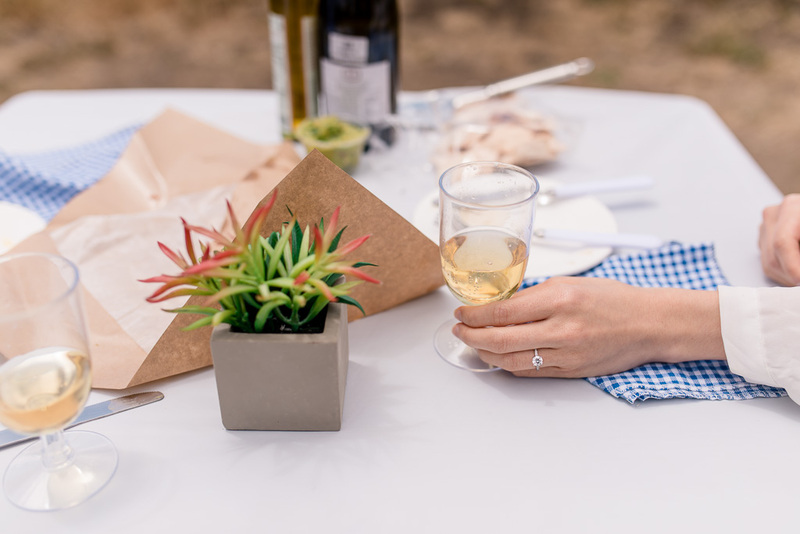 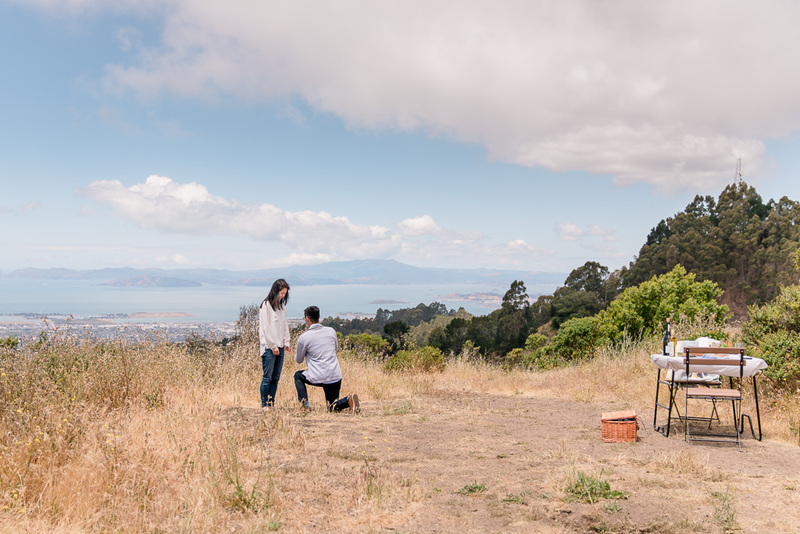 But the day before the proposal went down, they actually went back with Nate and found an even better spot, one totally isolated from sightseers and hikers, and spacious enough to set up a picnic table. 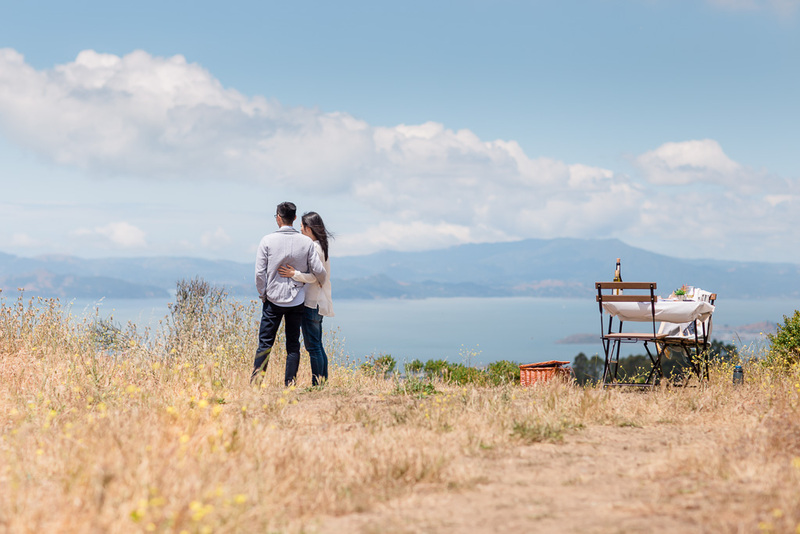 When the big day came, they prepared a cute table with two chairs up on the overlook and then hid so that Amanda wouldn’t spot them. 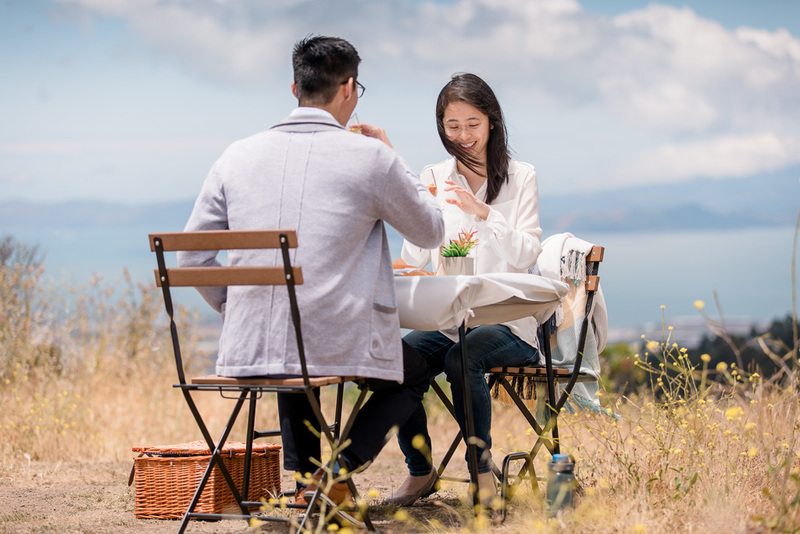 The weather was absolutely perfect, and nearly all of San Francisco, the Oakland Bay Bridge, and even the Golden Gate Bridge way off in the distance was visible from their picnic table. 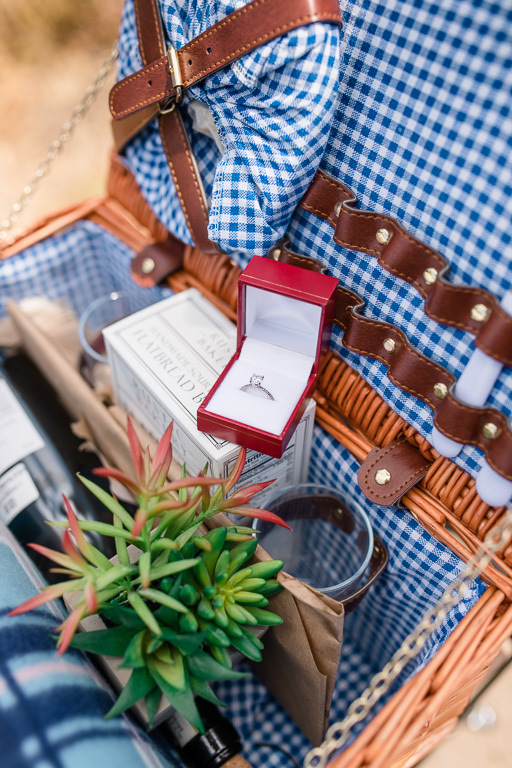 But the story wouldn’t be complete without a little hiccup! 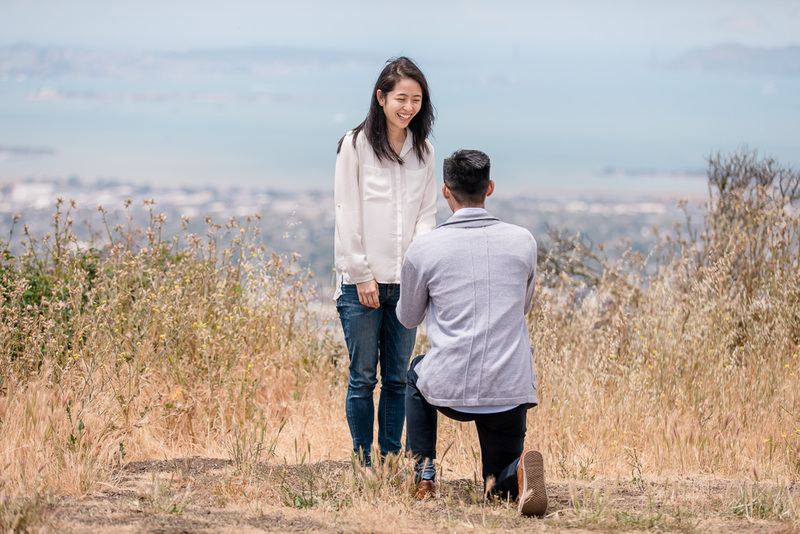 So the four of us waited near the bottom of the hill, and once we got Nate’s signal, went up to capture his proposal to Amanda, and her very, very precious reaction. 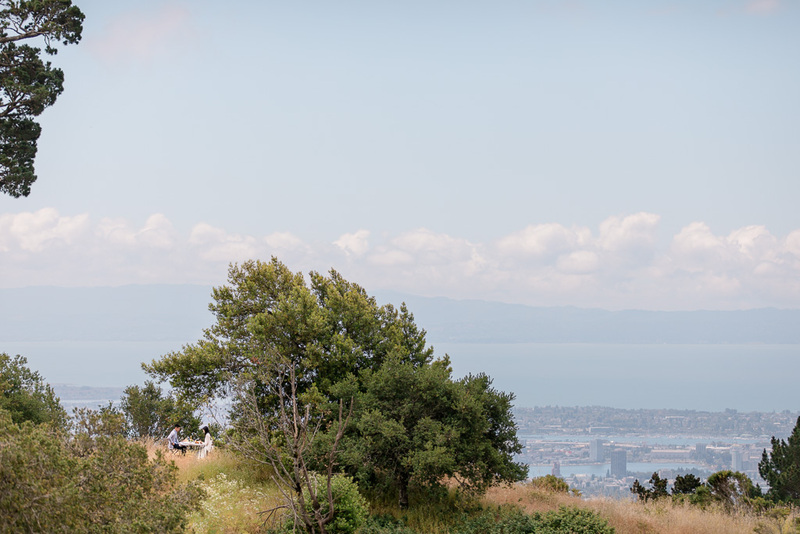 This is one of the most unique locations I’ve been to, and the backdrop is nothing short of spectacular. 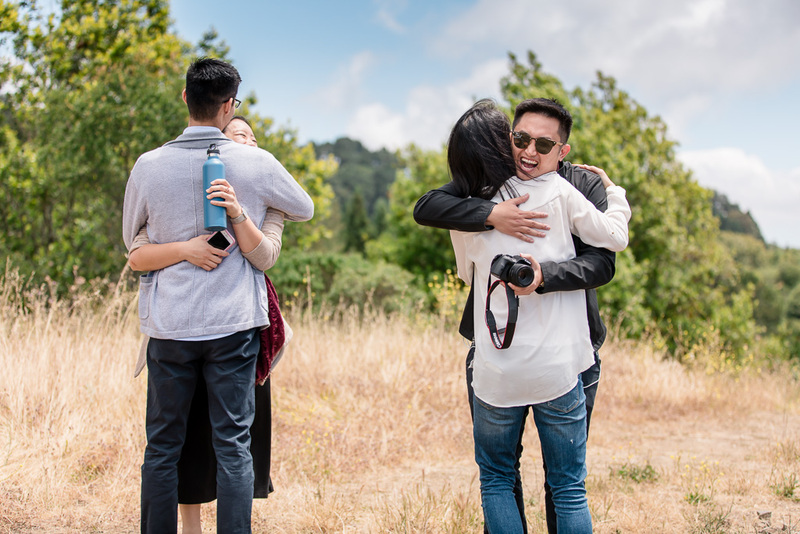 But I think what I’ll remember most is how much time and thought went into planning this event, and the incredibly helpful friends who put it all together. 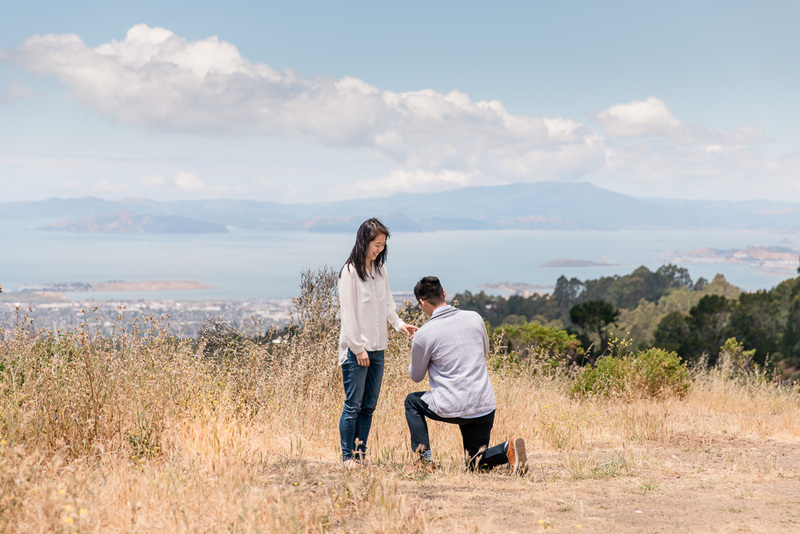 Congrats Nate & Amanda, and huge thanks to Richie & Jenny for the invaluable help in making it happen!